For decades, we were led—or misled—to believe eating fat makes you fat, and eating too many eggs will give you high cholesterol and is sure to kill you sooner than you’d like. While elevated blood cholesterol levels often sends people running to the doctor, the truth is most people who have high cholesterol have very little to worry about. As this article ((http://www.docsopinion.com/2016/06/05/familial-hypercholesterolemia/) explains, the people who should worry and get treatment are those with a genetic disorder called familial hypercholesterolemia (FH). People with FH often have high cholesterol and are at an increased risk of coronary artery disease early in life. In short, those with FH often end up with high cholesterol because their LDL (one type of cholesterol) receptors don’t work properly, so they’re not able to clear the blood of cholesterol, which means it builds up. That being said, FH only occurs in a very small portion of people with high cholesterol—in about 1 in 500 people—meaning lots of people with high cholesterol don’t have anything to worry about. And the real problem is a simple cholesterol test doesn’t tell you if you have FH, so you don’t know if your high cholesterol is dangerous or not. On top of this, there also exist people with FH mutations who don’t have high cholesterol, so their FH might go undetected, yet their risk of coronary artery disease is still high even if their LDL levels aren’t elevated. To complicate the matter even more, there have been several studies that suggest high cholesterol in people over the age of 60 can even lead to them living longer. Check out this BMJ article for more (http://bmjopen.bmj.com/content/6/6/e010401.full). High cholesterol isn’t as simple as we thought it was back in 1990s when we advised people they shouldn’t eat eggs every morning, let alone 4. In case you weren’t convinced by the Time magazine’s famous article called “Eat Butter” published in 2014 (https://www.dietdoctor.com/time-eat-butter-scientists-labeled-fat-enemy-wrong) check out this study in the British Medical Journal published in February, 2015 (http://openheart.bmj.com/content/2/1/e000196.full). North American and the UK started promoting low-fat dietary guidelines to their citizens in the 1970s and 1980s. It led to people everywhere blindly believing fat would make them fat. So people upped the carbohydrates and reduced the fat, and the world got fatter. But as this BMJ article (http://openheart.bmj.com/content/2/1/e000196.full) explained, there was actually little to no scientific evidence to prove that fat makes you fat, yet the world jumped on the no-fat bandwagon for four-plus decades. Similarly, somewhere along the way we decided saturated fat was associated with heart disease. But again, this 2010 study in the American Journal of Clinical Nutrition questions where this came from: (http://ajcn.nutrition.org/content/91/3/535.long). 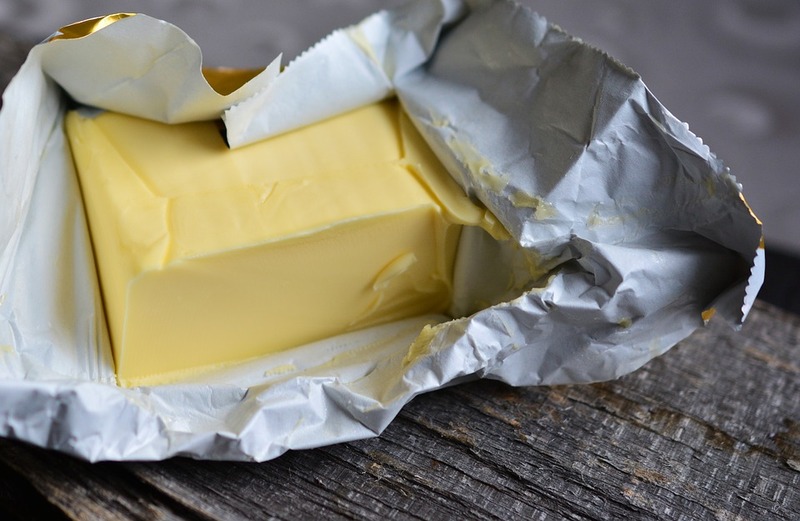 “A meta-analysis of prospective epidemiologic studies showed that there is no significant evidence for concluding that dietary saturated fat is associated with an increased risk of CHD or CVD. More data are needed to elucidate whether CVD risks are likely to be influenced by the specific nutrients used to replace saturated fat,” it stated. In closing, as always, focus on making much of your diet consists of a variety of whole, unprocessed foods such as vegetables, fruits, grass-fed and finished meats, eggs, fish, nuts, seeds and oils high in omega-3 fats; and don’t fear the butter and egg yolks. Always consider the source of your dietary fat. Was the animal raised humanely in a healthy and natural environment? What was it fed? Think about the quality of your foods.